Expect 4-6 weeks for production of this piece. As soon as your order ships you will receive tracking. Need something sooner? Check out our in-stock page. A stream of solid gold that begins and ends with a diamond. 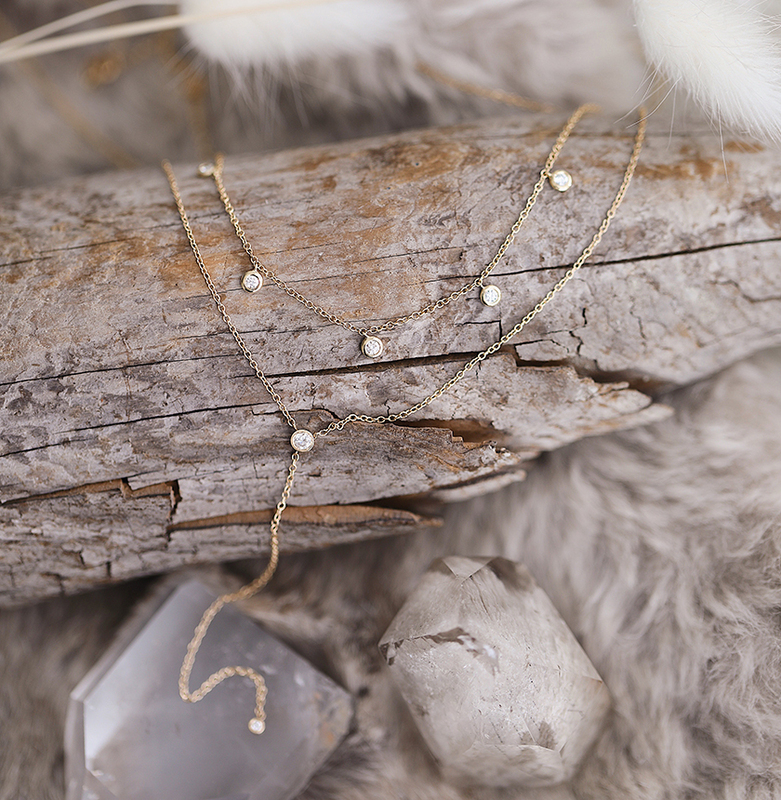 With an eye for delicate details, Ariel designs her collection to be subtle and chic, lived in and layered. AGJ consists of highly personal pieces designed to be worn together and collected over time. 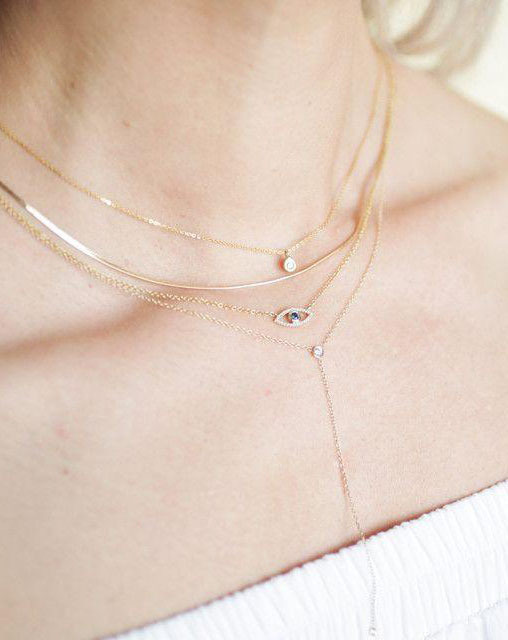 These everyday staples are meant to be an extension of the woman wearing them, tangible symbols of those she holds dear to her heart or a happy occasion in her life.